Running a successful startup is a challenge. You have to stay on top of every aspect of your startup, from overarching strategy to daily details. Startup founders must create and test their concepts, manage a growing business and find top talent to grow with them. That’s why we’ve curated 10 business blogs can teach you valuable lessons on how to run a business and what to pay attention to in terms of marketing, SEO, social media, customer service and more. Check out these blogs to learn about different aspects of running a startup from successful professionals who are experts in their fields. Seth Godin has written 18 bestsellers with titles such as All Marketers Tell Stories and Permission Marketing. Seth writes about marketing and how ideas spread, and was inducted into the the Direct Marketing Hall of Fame in 2013. His blog is one of the most famous in the world, and can be found just by typing “Seth” into Google. His blog is a great resource for gaining industry insights into the land of marketing. Browse his articles to learn about a new way to market and how traditional marketing practices are quickly becoming outdated. Dane Carlson’s blog is known for connecting entrepreneurs with opportunities, and is great to follow if you’re looking to begin or expand your startup. This blog offers advice on where to begin when starting a business and how to manage and grow a startup. The blog has a section to “Find Opportunities” that will soon lead to an open directory of professionals and businesses. If you’re curious about where to get started, you can visit their Franchises page to learn about how and where to invest in a franchise. Copyblogger provides informational articles about the current content creation scene, from blogs to podcasts. If your startup creates any online content (and it probably should), follow this blog to stay updated on industry trends and best practices. Copyblogger blogs about topics such as interactive content, marketing stories and how customer experience shapes marketing strategy. This is a great resource to learn how to create, improve and optimize your online content. Social Media Examiner is one of the most respected online authorities on social media. In addition to being the world’s largest online social media magazine, they are trusted by more than 350,000 subscribers. They have a blog, show and podcast that covers all things social media, from online profile basics to successful social media tactics. This blog is an excellent resource for learning how to optimize and leverage your social media accounts. The Search Engine Journal is a popular blog that covers topics like content marketing, social media, search engines and, of course, search engine optimization (SEO). Their message is to help marketers succeed by providing best-in-industry guides from in-house and independent experts. Established in 2003, Search Engine Journal continues to make it easy for businesses to successfully innovate, collaborate and create for success. This resource has helpful guides that can teach you all about SEO and how to optimize your online content. Running a startup could take plenty of trial and error. Luckily, there are entrepreneurs who have gone before and documented their successes, trials and insights. Marty Zwilling’s blog is an accumulation of his experience as CEO & Founder of Startup Professionals, Inc., Advisory Board Member for multiple startups, and Entrepreneur in Residence at ASU and Thunderbird School of Global Management. His blog is a great resource for startup advice, right down to finding your co-founder. Entrepreneur is a respected resource for, you guessed it, entrepreneurs. It covers topics on how to do business, such as productivity, messaging, professional success and more. Follow this blog for innovative ways to improve your business practices and to learn how to deal with relevant issues such as an imbalanced work-life. Entrepreneur’s blog categories include leadership, social media, marketing, growth & strategy, technology and finance. Help Scout is a web-based help desk that is trusted by businesses in more than 60 countries. Their blog is a useful resource for remote teams, learning to work virtually, and growing your startup online. Their articles are also useful for learning about customer satisfaction and how to attain it. 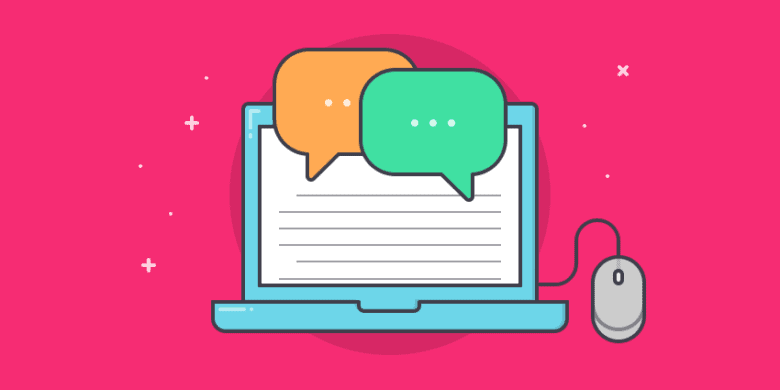 Help Scout’s blog is easily digestible with useful and relevant ideas that will help you delight customers and manage a successful remote team. They provide insights into running remote teams based on their experience as a virtual company, just like Hubstaff blog. UserVoice is a holistic customer experience solution. Their CRM platform provides an online help desk and analytics to ensure your customers’ voices are heard. The UserVoice app makes it easy for your customers to get the help and answers they want quickly and efficiently, all while in the app. UserVoice’s customer support blog teaches lessons on understanding what customers want, improving customer experience and retaining customers. Codrops is a resource to learn about design, web development, user experience and other related topics. This blog is useful for learning about the latest web trends and techniques. This is a great blog to follow if your startup is involved in online content creation, websites, design or web development. Their articles can help you develop a sleek, clean website for your startup, make sure your website is providing a good user experience, select the right typography for your brand, and more. Hubstaff has developed an innovative time tracking desktop app that allows remote workers to track time wherever they are. Their natively designed apps work with iOS, Windows and Linux to provide a seamless and intuitive time tracking experience. Virtual teams that track time with Hubstaff will also have access to automatically generated time reports, activity levels that measure productivity, and randomized employee screenshots that show the best picture of work. Just start and stop time with the push of a button to track time to a specific task. Hubstaff also offers numerous integrations, so you can keep using the collaboration tools you love and add Hubstaff to increase productivity. The article you’re reading right now is part of the Hubstaff blog series. A guest post is an article that someone external to the organization writes for a blog. The Hubstaff blog has published guest posts from awesome influencers in the industry, like Vera from Workhoppers, Anthony of Sticker Mule, Joe of Collage, and so on. It’s an excellent way to build relationships, increase thought leadership, and share ideas….